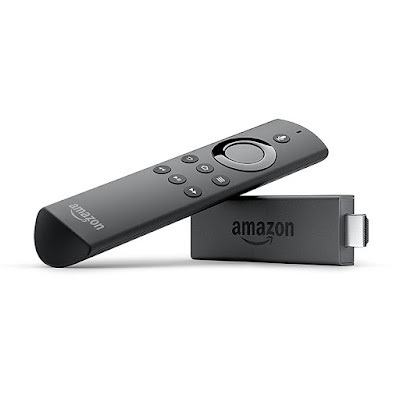 I noticed that some of the most popular information on my blog was the info I posted on running RetroArch on the Fire TV Stick. Since I was updating that blog post occasionally, I at first decided to make a dedicated page on this site for the Fire TV and playing games, but I just didn't like the format so I decided to try again. As I mentioned last week in my blurb on the Unifi Security Gateway, I recently moved my Unifi controller from running part time on my desktop PC (basically starting it any time I needed to upgrade a device or change a configuration) to running full time on my Synology. It looks pretty up to date, and it was what I initially started to go with, but instead I went with Option B.
I'll admit that one of the reasons I did this is because I hadn't done it before. Docker is a somewhat new thing that allows apps to be given their own environment, but to share common items and run on the same kernel. Basically, a docker package runs in its own operating system, sort of. Here's a link if you want to read up. This one seems to be following the unifi build cycle the best, using Latest/Testing/Unstable build tags. This was really trivial to set up using the GUI interface. I'm not 100% sure I'll keep it in docker, but the repository seems to be well maintained. We will see how things go over time. 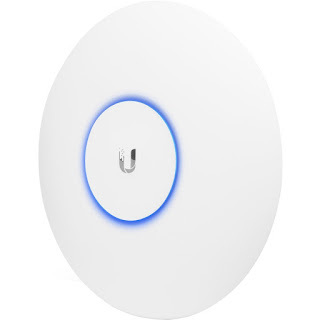 If you read my blog entry on my Ubiquiti access points, you might have noticed that I completely glossed over what you should do about a router if you're using access points, since most home wifi is done with wifi routers. If you read my cable modem guide you would note that I am an advocating of splitting the roles. You want a modem/bridge to your ISP, you want a router, and you want access points. I've covered options on 2 of the 3. When I first set up my network here at the Angleridge lab, and went with the first generation Ubiquiti 802.11ac access points, I needed a router, but I didn't have the time to research it before getting everything up and running. My short term solution was to disable the wireless radios in a wireless router and make it my home router. Of course, this was a consumer (Linksys) router and I knew this wasn't my long term solution, as the software support would certainly evaporate (PSA: make sure you're running the latest firmware on your router, and if there's not been an update from the manufacturer in the last 12 months, replace it ASAP). A year later and no firmware updates from Linksys, and it was time to take some action. After doing a little reading, I went back to Ubiquiti for the solution. The only question was whether to go with the $100 Ubiquiti Unifi Security Gateway (USG) or the Ubiquiti Unifi Security Gateway Pro (USG-PRO-4). Realistically, the only difference for my application is simply speed. The USG-Pro hardware just has a lot more horsepower. 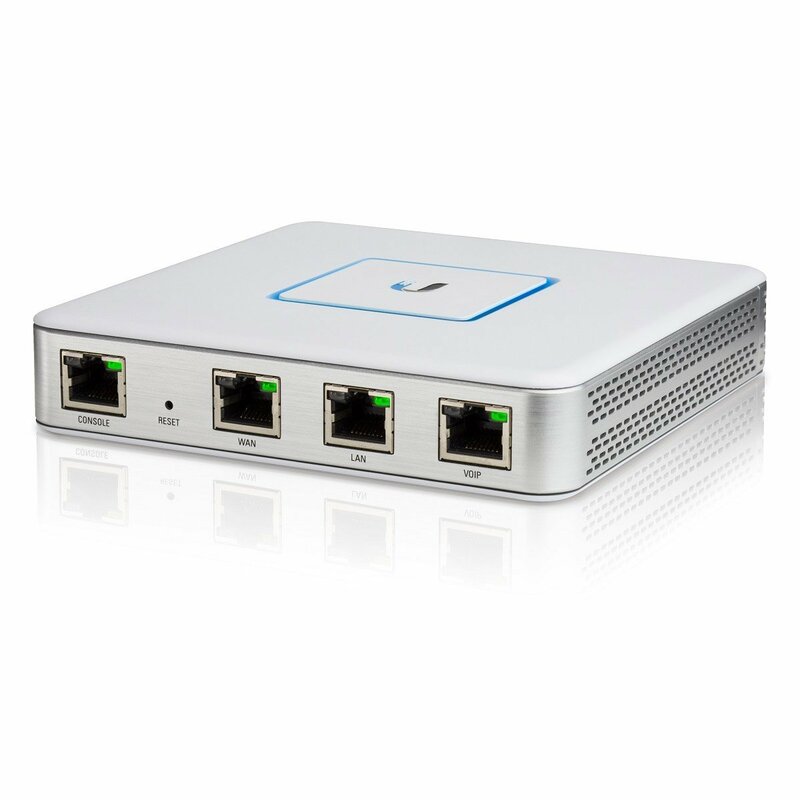 The Unifi Security Gateway (USG) is plenty powerful for most home and small business needs. So I looked at my application and said "do I need the extra speed?" AT&T has been rolling out Gb fiber, and it's now available in my block, so theoretically I need the USG-Pro to get everything out of that, but I decided to save $200 for now and test out the USG. I'll say that I'm happy. Once I make the Gb fiber move, I'll reassess and update the post. Needless to say, this beats the heck out of bouncing to a web interface on a consumer grade router. I originally was running the controller on my desktop machine. You don't have ot run it all the time unless you're using a few specific functionalities, which aren't needed in most residential applications, so I was only running it when I specifically wanted to make changes and provision devices. 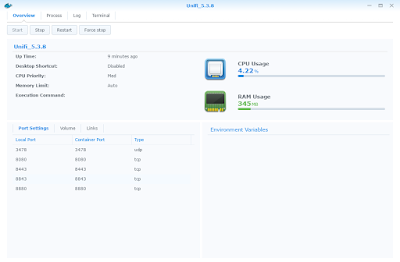 That said, I recently made the step up to running the controller on my Synology Rackstation, and so it's now running 24-7, and I can access it through Ubiquity's cloud controller software. So, I've got a real router solution with active software support. I can't stress how important that last bit is. Check your router and don't use something that isn't supported, and for goodness sake, don't trust your ISP with that job. When we were renovating our house, I thought a lot about lighting. LED (light emitting diode) lighting is the future, and really, the future is now. LEDs have been getting more and more efficient, and they've been suitable for primary lighting for some time now. If you haven't made the move, you need to, because they use less than 20% of the power of incandescent bulbs and the bulbs last a long, long time. I'll avoid the technical explanation of how LEDs work and just say they're more efficient than traditional incandescent lighting, and even better than florescent lighting. There are solid consumer products out there, and the prices have been coming down, but there is a lot of junk, too. How do you know if something is good? Well, that's the trick, isn't it. Generally speaking, it's hard to tell from the box, and the bulbs aren't really cheap. I put a lot of time into figuring out what I wanted to do and read a LOT. 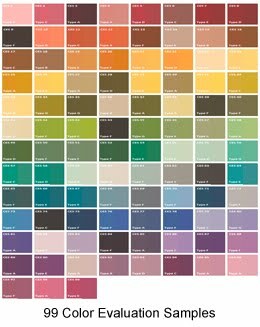 The first thing that matters is color temperature, which we is something we're used to hearing about. Generally speaking, you're probably going to want "warmer" lights, which are more like incandescent lights, around 2700K, in your home, rather than daylight spectrum, which is more like 5900K. Why? Nobody's sure, but there's some speculation that it has to do with fire making us feel safe. So, targeting 2700K seems like an obvious solution, right? Unfortunately, it's not that simple, because you can achieve a rating of 2700K and still have really terrible light by having lots of peaks in the spectrum. So what's next? Color rendering index (CRI) basically tells how close the spectrum is compared to a perfect reference light at a given color temperature. Basically, you want a high CRI. You didn't have to think about CRI with incandescent bulbs because their nature was to provide high CRI output. Florescent lights, which we all recognize as harsh, tend to be very narrow spectrum and have low CRIs. LEDs themselves have similar issues. Low CRI lights, for instance, or any light with peaky spectrum due to filters, can make it hard to tell certain colors apart. To get around this, better lights probably mix different colored LEDs to expand their spectrum, and probably use different filters to attenuate different peaks. That's my speculation, maybe someone can correct me. The point is, you CAN get LED lights with CRIs over 90, but it tends to cost them some efficiency. CRI is far from a perfect metric. 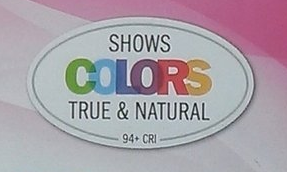 CRI is generally measured created by testing the error accross 14 color samples and averaging. Of course, "white" LEDs tend to have trouble in certain areas, so you'll often see the "R9" component of CRI, a saturated red, referred to specifically. Unfortunately, 14 samples isn't really enough. There is plenty of spectrum that isn't covered by the samples so you can still have bad light quality with higher CRIs, particularly considering that people can game it by focusing on weak areas like R9. Also, just averaging the errors isn't a great plan. This means that really poor performance in one frequency, but perfect in all of the others, would be considered the same as really good but not perfect performance in all frequencies. Intuitively that's probably not how you'd like to see it done. There are then a set of different indices, and graphical representations that can be used to evaluate quality. It's a much better system. It's also fair to say that we are not likely to start seeing these references broadly on consumer lighting for some time. Is only saw TM-30-15 test results on the highest end produts, like those from Soraa (sample datasheet). I bought a lot of different bulbs for usage all over my house, and I learned too much about light bulbs in the process. I didn't want to spend a bazillion dollars on light bulbs. I didn't after a super high end solution, I typically went for a consumer grade solution. I also didn't go for a lot of custom solutions, but instead utilized traditional standard fixtures with LED bulbs. The brand I generally selected isn't one of the consumer brands that you're probably used to seeing like Phillips or GE, it's Feit Electric, which you've likely never heard of. One thing I noticed, and it's really not surprising when you think that there is going to be extra filtering and a mixture of different LEDs to get good quality, is that you will sacrifice some efficiency and some cost to get high CRI. Several manufacturers make "normal" bulbs along with their "high CRI" bulbs, and the they always use less power and are cheaper. I think most of what you can find at Home Depot or Lowes is falls under "more efficient, poorer CRI." That was certainly true when I was shopping, and it still seems to mostly be the case. You will see a few high CRI products marketed in the most common bulb applications. We put in a lot of 6" can lights. A typical light for a 6" can is a BR40, where BR describes the bulb as "Bulged Reflector," and 40 means 40 eighths of an inch in size, or 5", leaving half an inch all around the bulb in the can. A BR40 will provide distributed light over a broad area. You can also get more of a spotlight, or a PAR38 bulb, where PAR means Parabolic Aluminized Reflector" and 38 makes the bulb 4.75" in diameter. A PAR38 bulb will illuminate a narrower area with a higher intensity at the same Wattage. I used mostly BR40s from FEIT Electric's "Enhance" product line, which is a common theme in my selections, as they claim 94+ CRI and I've been pleased with them. Unfortunately, another common theme is that there are lots of different bulbs on the market, made at different times. The bulb I used throughout my house is no longer listed on FEIT's web site.CRI, 100W replacement bulb (19W), model BPCEBR40/DM/LED. The FEIT web site now says that their 16W BR40/927/LED bulb puts out the same 1065 lumens, but they advertise it as a 75W replacement. I looked at a few 100W incandescent bulbs and think that 1065 lumens is more in the 100W range, so I'm not sure why their advertising has changed. I found lots of different item numbers that seem to be various packaging of the same product, or similar product made over a period of time. The best deal seems to be the 2-packs, but I also found single bulb packaging, and various old versions of these bulbs. Be careful on pricing, as a lot of the links are bad deals. The 2-pack was $16, or $8/bulb, or about half what I paid 2 years ago. Search Amazon for "Feit BR40" and look for their "Enhance" branding. In our kitchen, I selectively used a PAR38 bulb, and these also work in outdoor security spotlights. Again,I did a Feit high CRI bulb. These come as a 3000K bulb, so they're not going to be quite as warm as the BR40s, in addition to their narrower beam, so you want to use them selectively. 6" Eyeball bulbs are actaully like a 4" can bulb. A 4" can takes a BR30, and the spotlight equivilent is a PAR30. I found Feit PAR30s for our eyeballs. Again, in a brighter white 3000K temperature. For 4" cans you're going to want those BR30 bulbs, which are also widely available. Feit Electric BR40/927/LED 2-pack – at $8EA this is best deal I could find right now, but search Search Amazon and you will find a variety of options. Feit Electric: PAR38 Dimmable LED Light Bulb 2 pack - $11EA in a 2 pack. 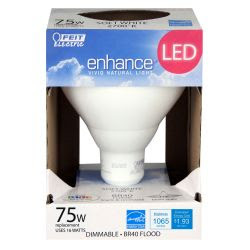 Feit Electric 75 Watt LED PAR30 SPOT 2 pack - $11EA in a 2 pack. 12.16.2016: Note that Netgear has had a serious security issue that has impacted many of their routers including the R6400. 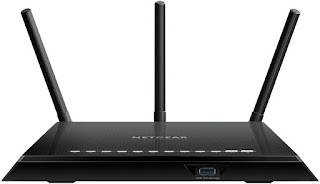 If you have a Netgear router, you should take action IMMEDIATELY. Update your firmware now, updates are available in the link. Additionally, even if you don't have a Netgear router, you should check the date of your router's newest available firmware update. If there hasn't been an update in 6-12 months, your router is probably unsupported or on the verge of being unsupported. That's not acceptable for the thing keeping your network safe -- it's time to upgrade. I occasionally get asked for a recommendation for a WiFi router. I don't personally recommend integrating these functions, but I know a lot of people do. In this case, I revert to recommendations from sources I respect, and I go with the Netgear R6400, which is currently recommended by The Wirecutter. So many antennas. Because MIMO is a good thing. I've set up several of these for other people, but it's been a while. My recollection is that the wizard was pretty simplistic but that you could turn it off and get to detailed features, but that I wasn't a huge fan of their interface. I'll take some notes and update this post the next time I touch one of these, maybe do a few screen captures, and come back and update this post. What's important is that this is a pretty full featured 802.11ac device. 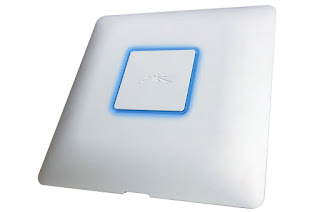 It's a "1750 Mbit" 802.11ac device, which means 1300Mbit on the 5GHz band and 450Mbit on the 2.4GHz band, which is potentially more speed than most home networks can handle. It supports "Beamforming" which is to say that those multiple antennas let it do things to achieve higher data rates with multiple simultaneous devices. The technique is called MIMO (Multiple Input/Multiple Output), and it basically lets the radio do different things on each antenna. A very simplistic view would be that if you had a device on each side, each device could talk to the router through its own individual antenna. It's more complicated than that, but the key point is that improves 802.11ac throughput when there are multiple devices. You can spend more money, but this is a pretty good option. You can also spend a little less, and go with a TP-Link Archer C7, which Wirecutter also recommends. I haven't played with these, but you'd probably be OK based on their recommendation. Apparently their interface isn't as nice as the Netgear's and you give up a little performance, some features like QoS and VPN, and some hardware features like high speed USB ports. When we renovated, I wanted our home to have great wireless performance with no dead spots and great speeds. A company called Ubiquiti had made a bit of a name for themselves with their UniFi access points, and had just introduced an 802.11 AC version. I jumped on board. I looked at our layout and initially decided to install 3 ceiling mounted access points to make certain I had great coverage everywhere. In the end, mostly because the 802.11ac UAP (UniFi Access Point) AC wireless access points were a little pricey, I decided I didn't need 3 and I pulled Cat 6 cable for 2 locations, one at each end of our house, and I bought a cool Netgear JGS516PE Power over Ethernet Switch to run everything in my house. I installed everything, got it up and running. The basic setup went without a hitch. The controller software is night and day beyond what you have with your typical WiFi enabled router, and I was pretty excited -- and then the disappointment began. First off, the PoE switch supported the 15.4W 802.3af PoE standard, not the 25.5W 802.3at PoE+ standard. The UniFi AC's were power hogs and would boot from the switch, but would intermittently shut down. This was my mistake, as I hadn't carefully read the spec sheets, but I ended up having to use extra little power adapter boxes (included) to power them, which was kludgy, but was hidden in my network closet. Zero-Handoff wasn't that great and forced some configuration settings that aren't necessarily desirable. The UniFi AC's were using a Broadcom chipset, which was different supplier from the Atheros chipsets in their earlier UniFi products, and they were having trouble getting what they wanted out of the product. In short, what sounded good on paper wasn't so good, and the product was just OK, not great. Turns out I ended up with some weird dead spots and mediocre to bad coverage even though I'd spent a lot of money and put in a lot of effort. Geez. Fast forward and Ubiquiti introduced a set of 2nd generation products, the UAP AC Lite, UAP AC-LR, and UAP AC-Pro. They went back to Atheros, the chipset vendor that they were more comfortable with, and they have more experience. The product shows it. Power requirements are down, so they offer 802.3af PoE on the UAP AC-Pro. The other units include their non-standards compliant passive PoE, which will mean you need to either use them with a Ubiquity switch to provide power, or the little injector bricks that they include. I'm really a fan of standards compliance, so I would think twice before going that route. The Rounder and Faster UAP AC-Pro is what you want. I've replaced one of my UAP AC's with a UAP AC-Pro and now can recommend this wholeheartedly. The difference is night and day, and I'm waiting for the second replacement unit to arrive so I can begin testing their 802.11k/802.11r/802.11v implementation, currently in beta only on the second generation products, that allows standards compliant seamless roaming between the access points for seamless Voice Over IP (VOIP) phone conversations. 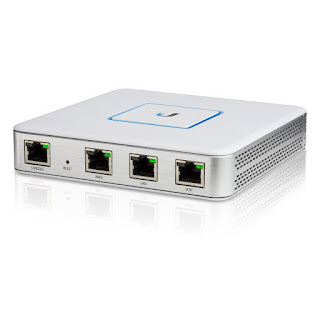 UniFi AC Wireless Access Point -- Don't buy the square ones!